Ben, our Changing Lives magazine cover star, has a unique genetic condition affecting his communication, development and sight. People like Ben are often faced with a lifetime of challenges and uncertainty. “Ben was a happy child with a fabulous chuckle. He had a mass of blond hair and big blue eyes. He was our perfect baby boy and it didn’t matter that he rolled around the floor instead of crawling or wanted to knock down towers rather than build them. In our eyes he was wonderful. When Ben was about a year old, he wasn’t meeting the development milestones expected of a baby his age and the health visitor was concerned. Blinded by the love I felt for Ben, I’d ignored that something wasn’t quite right but knew deep down there may be a problem. As soon as I acknowledged that, I went out of my mind with worry. I couldn’t help thinking all sorts of horrible scenarios, that Ben had some sort of horrible disease and that he would die. I couldn’t tell anyone how I felt, saying it out loud somehow made it more real! After a series of tests, a consultant confirmed that Ben has a unique genetic condition. There was no information as to how he would develop or how his life would pan out. We were told that he may never walk or talk. This should have been devastating, but it wasn’t. We had our baby and he was going to live! There wasn’t a department in the hospital we were not familiar with. I was frustrated by being pushed from pillar to post. There seemed to be no communication between departments and his 3D vision is impaired because things were missed. Every day was a challenge but, in spite everything, Ben started to make progress. We used sign language to help Ben communicate and this stimulated his desire to interact. We soon heard his first word, ‘Mumma’ and with a lot of help he started to walk. My heart sang! At school he made slow but steady progress and could read and write. His academic development continued at slower rate than his peers and the gap was getting larger. Over the years Ben developed a passion for all sport and enjoyed various clubs for disabled and able children. I’d say my biggest worry has been how vulnerable Ben is. Unfortunately, our lovely, sweet natured boy was, and still is, bullied regularly because of his differences. All he wanted was to be accepted, to have a friend to hang out with. It’s the worst feeling to know your child is being treated as an outcast. When Ben was 12, it was suggested by another mum, who also had a child with disabilities, that we contact bibic for help, which we did. That day bibic changed our lives. The therapist at bibic spent time playing with Ben, carefully encouraging him to see what he could and couldn’t do. The afternoon feedback session was illuminating. We were told about Ben’s strengths and weaknesses - physically and intellectually. I always remember this fondly because as we were talking Ben was shooting hoops in a basketball hoop at the end of the room. One after another these balls were popped into the net! At that point I think we both realised that Ben was a child that was not going to fit into a box. It showed me that if a child loves to do something then he will overcome everything to be able to do it. Ben showed a determination and resilience which was commendable. If he wasn’t going to give up, neither were we! bibic helped us move forward as a family, giving Ben the tools to cope with the world and what life threw at him. And I learned how to see the world through Ben’s eyes. Each time we visited bibic we were taught new techniques to help Ben. His learning style was discussed with school and we had fun with various exercises we were given to encourage Ben’s speech, mobility and fine motor skills. Ben managed to get a handful of qualifications from school, including Level 2 BTEC in both Sport and Cooking. When Ben got an F in GCSE English, after being predicted a G, I watched him celebrate as he told anyone who would listen, bursting with pride. 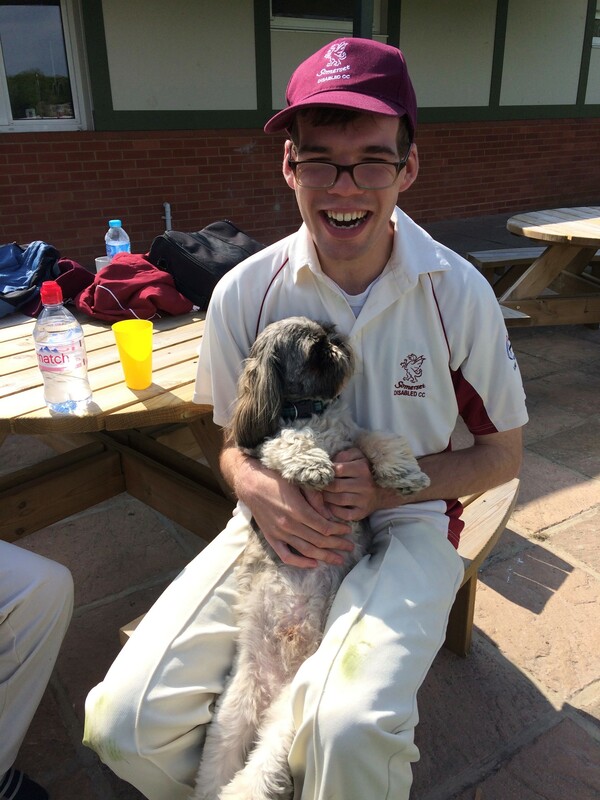 And Ben has represented England, playing cricket at Lords for the England disabled squad! Because of bibic, as a family we were able to make the most of each day. We all loved our trips to bibic. Ben adored his therapist… still does and trusts him completely. bibic helps us cope with the everyday challenges of Ben’s condition. The therapy team have been incredibly supportive of us as parents and as a family. We have never felt judged and, like Ben, were able to confide our darkest thoughts and emotions without fear of prejudice. When Ben hit 16 a new set of challenges arrived. Our ‘disabled’ child, entering adulthood and facing the whirlwind of emotions and actions relating to relationships, safety, work and his extreme vulnerability in all these areas. Once again, we turned to bibic for guidance on how to weather this storm, how to try and manage our son and keep him safe while giving him the tools with which to survive. Ben is now 21! His vulnerability is still a massive issue. 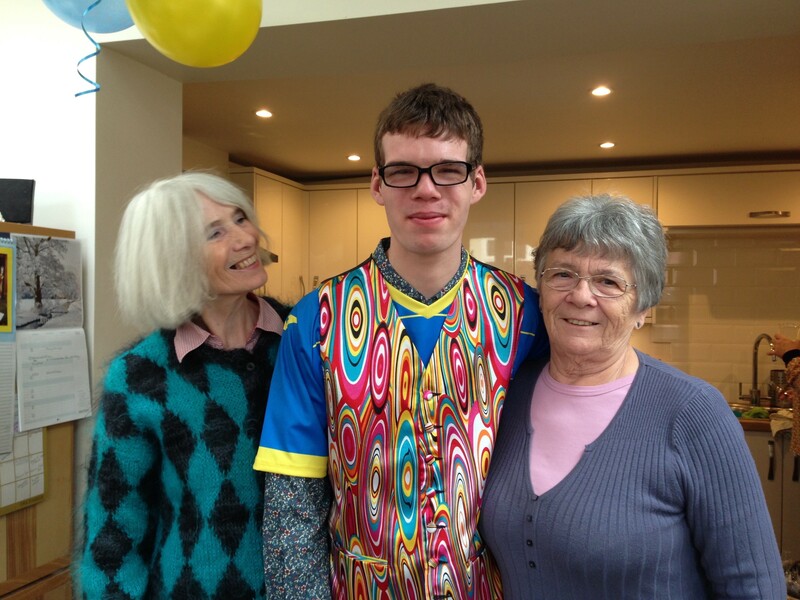 We have tried to bring Ben up with some independence and he has now moved into supported living, which has been and will continue to be a challenge for a while. We obviously try to help him make good decisions and choices, however this is not always easy! With bibic by our side, our journey so far has had more positives than negatives. Ben is a personable young man with good communication skills, a wicked sense of humour and a love and knowledge of sport that you would not believe. He still goes to college and we hope that a work placement should be possible soon. He is happy and healthy, and we take each day at a time. We know there are more hurdles to jump but we are all in a good place to face them head on and that is because of bibic. It's wonderful to hear how Ben is living life to the full and enjoying his sport; his smile lights up the room and he's such a character! We are so grateful to Ben's Grandpops' faith in bibic. Because of his gift in his Will and donation, we are able to help other children like Ben too. Our latest edition of Changing Lives is packed full of moving stories about the amazing children and their families we support, all made possible by our loyal donors, supporters, fundraisers, trusts and foundations. * For more information regarding media usage, ownership and rights please contact Bibic.